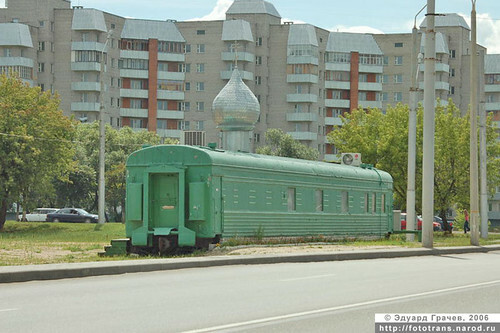 More gold from EnglishRussia: detailing the revival of the practise of turning old railway carriages into churches. I suspect these may make an appearance in a project I’m developing with the working title ATOMGRAD. The relationship between Russians and railway carriage churches goes back to the 19th century, when the Orthodox Church had actual (mobile) church cars attached to trains for spreading the Word across the vast Russian expanse. Today, with Communism in the past and the Church once more free, modern church cars once again are on the Russian rails: I’ve seen several my trips on the Moscow-Vladivostok Trans-Siberian Express. Which will include, I trust, the disused atomic lighthouses? Rad.